I enjoy Edamame beans a lot, either steamed or boiled. 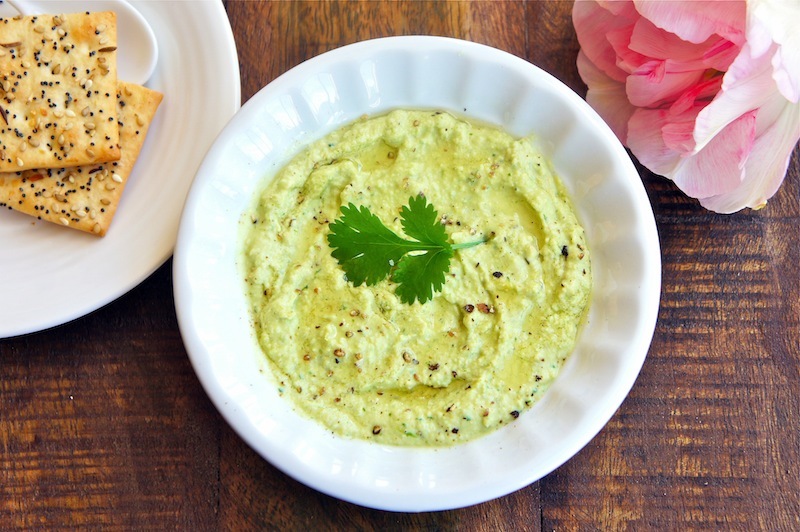 Another way to savor these beans is to roast them, and make this Roasted Edamame Dip. This is a refreshing dip, full of flavors, luscious, and best of all, it's healthy and good for you! Toss the Edamame with sea salt and olive oil, and roast in the oven for about 20 minutes. Let the bean cool before shelling. You should have slightly more than 1 cup of Edamame beans. In a food processor, combine Edamame beans, shallot, garlic, coriander leaves, cumin, Jalapeno, yogurt, hazelnut or olive oil, and lime juice and process until thick and smooth. Season the dip with sea salt, black pepper and some extra lime juice, if necessary. Top the Edamame dip with a few drizzle of hazelnut or olive oil, and some freshly ground black pepper before serving. Serve at room temperature with some crackers. I just bought a whole bag of frozen edamame...now I know exactly what to do with them! Refreshing is right! I love edamame beans but never thought of making edamame dip. What a great idea and gorgeous presentation. Would love to make it this weekend. Thanks for sharing the idea. I hardly like any dips but i love eating edamame. this looks good and easy to make..
this looks SOOO good!!! 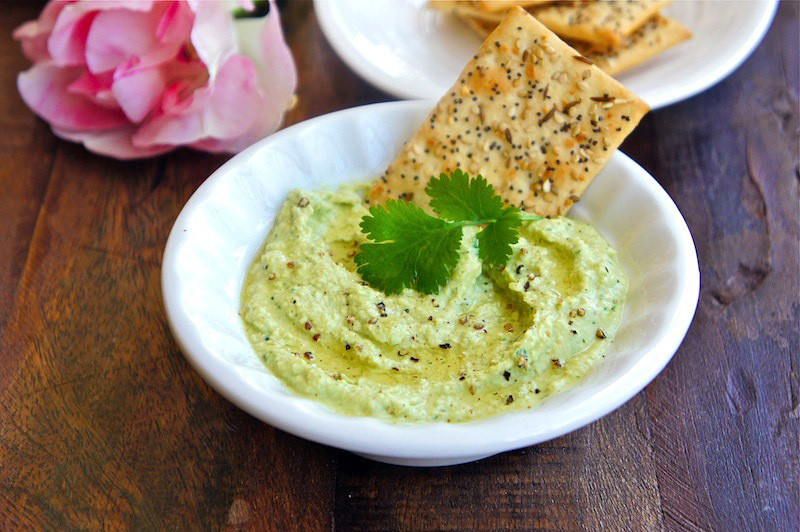 edamame in dip form is a wonderful idea! I am never sure what to do with edamame. I think a dip is a perfect way to try it.. I am now folowing you . I would love it if you visited my blog and followed me back. You mentioned shelling the edamame. The only frozen ones I can find are already shelled. Will that work also?